Lucy Cousins, the prolific English author/artist once published a 128-page book, Yummy, Eight Favorite Fairy Tales, which was judged delightfully “savage,” as well as many picture books about the epic Maisie, a mouse, who brought Cousins fame. Now she’s producing board books for very young children. Lots of them, it seems, at least two or so a year. Lucy Cousins has built a veritable empire out of cardboard. Her work does not lack for charm. Her brightly colored, heavily outlined creatures have a zany, happy, enthusiastic presence, ready always for the next adventure. Why is there a but” in the text? “But” connotes contrast. One could give this issue a pass, as there is contrast inferred but—unstated specifically. When a book only has, perhaps fifty or sixty words, shouldn’t all of them be laser clear? This is not to suggest three year olds will complain. 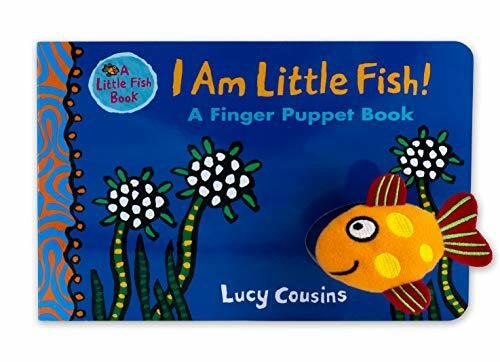 Surely they will be happy to hold a book with such an easy, bouncy message, not to mention the attached finger puppet that ensures delight. But a board book is still a book. Given the state of language currently, can’t we make an effort to be exact at all reading levels? Cousins child-at–heart authorship has entertained, according to PW, as many as 30 million children and will continue to do so. It’s still appealing and the graphics know how to dazzle young eyes. Still, one wonders about the “other side” of Cousins. The savage beast within . . . Will readers ever again have that challenging treasure of a very different sort?